Is it too late to salvage your current garage door? 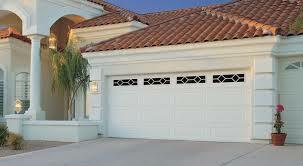 Empire Door Corp. is the leading garage door installation company in Arizona. Our expertise includes every aspect of garage door installation & replacement. No matter what brand or model, we can help you find the garage door that is perfect for you. Whether you are building a new home or simply replacing a garage door whose time has come, Empire Door Corp. has the history and expertise you need to ensure your next garage door installation goes smoothly. Why risk your garage door by hiring anyone else? We guarantee satisfaction with every garage door installation. Contact Empire Door Corp. to schedule an appointment today.